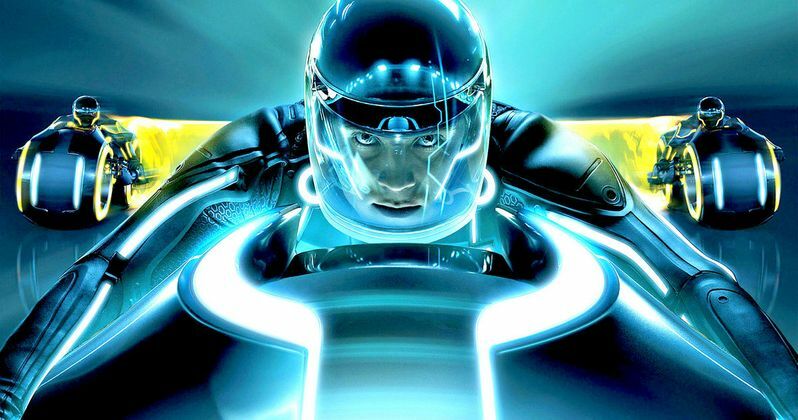 Nearly 5 years after Tron: Legacy hit theaters in late 2010, Disney has officially pulled the plug on the sequel Tron 3. We reported in March that Tron 3 starts shooting this fall, and pre-production was already under way when Disney canceled the sequel today. Disney had been interested in adding Jared Leto to the cast in an unspecified role, but an offer was never made and negotiations didn't take place. Tron: Legacy stars Garrett Hedlund and Olivia Wilde were set to come back as Sam Flynn and Quorra, with Joseph Kosinski returning to the director's chair. Despite the report from earlier this year that production was starting this fall, insiders claim that Disney had never officially green lit the sequel. 2010's Tron: Legacy earned $400 million worldwide from a $170 million budget. Tron: Legacy was a follow-up to the 1982 sci-fi classic Tron, with Jeff Bridges and Bruce Boxleitner reprising their roles as Kevin Flynn and Alan Bradley in the sequel. The sequel followed Kevin's son Sam, who enters "The Grid" in search of his long-lost father. It's possible that the disappointing box office take for Disney's Tomorrowland may have been a factor in the studio cancelling Tron 3, but that has not been confirmed. Are you disappointed that Tron 3 will never see the light of day? Chime in with your thoughts below. Tron 3 Producer Offers Update: Will It Ever Really Happen?